Home / Unlabelled / Sign up Now with Epic and Read FREE for 30 days! Sign up Now with Epic and Read FREE for 30 days! As you may know, if you're not raising natural bookworms, getting kids to read can be a major challenge. Sometimes kids only have certain interests at a time. For instance, at the moment my two boys both enjoy any stories about animals. It is not always easy finding specific book when out shopping. It can even be a challenge online, at times. This is where Epic! comes in. Plus, teachers love Epic! too. In fact, Epic! 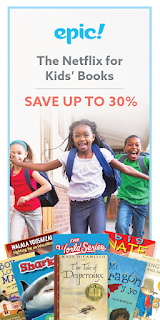 is being used in 70% of U.S. elementary schools! So you know it's a resource that's actually working! 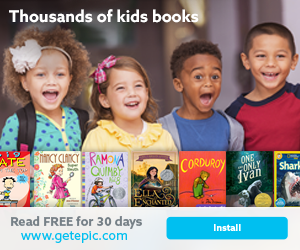 You get instant access to more than 15,000 popular children's books, audiobooks, read-a-along books and videos all for $4.99/month. This costs less than one book! 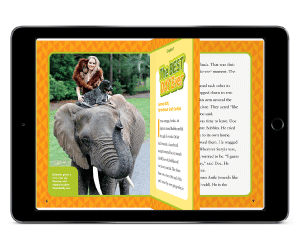 -Thousands of great titles with hundreds more added weekly including a wide variety of fiction, non-fiction, classics, historical, science and nature, favorite characters, how to, and much more. -Online and offline reading making it perfect for travelling. The best news? You get try your first month 100% FREE. Sign up here: Read FREE for 30 days! Have you tried Epic! yet? Let me know what you think of it so far.